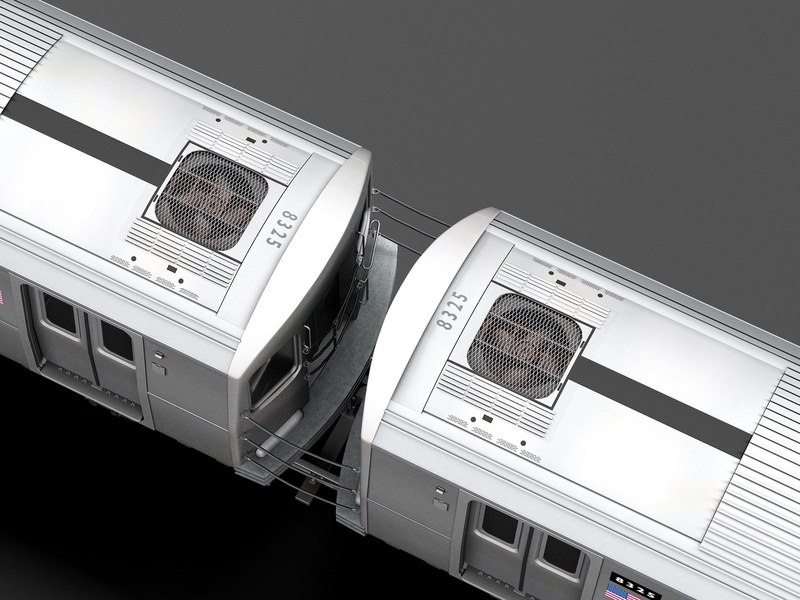 Subway service is deteriorating, with delays and overcrowding on the rise. Slow and unreliable service has New Yorkers calling on the MTA to rethink the city’s bus system to bring riders back. Now Governor Cuomo wants to cut $65 million from the state’s annual contribution to the MTA, breaking a five-year-old promise to transit riders. The ability to run six additional LIRR trains or eight additional Metro-North trains during the morning rush hour. The potential impact of the cut is not lost on scores of state legislators who sent letters to Cuomo and legislative leadership calling on them to include the funds in the final budget. Brooklyn, Queens, and The Bronx sure could use 43 miles each. Imagine the increase in mobility if each of these 3 Boros added 43 miles ! $65 million is such a petty amount in the state budget that I think this is more about Cuomo sticking it to NYC to get votes upstate than about balancing budgets. Imagine the increase in mobility if each of these 3 Boros added 43 miles ! 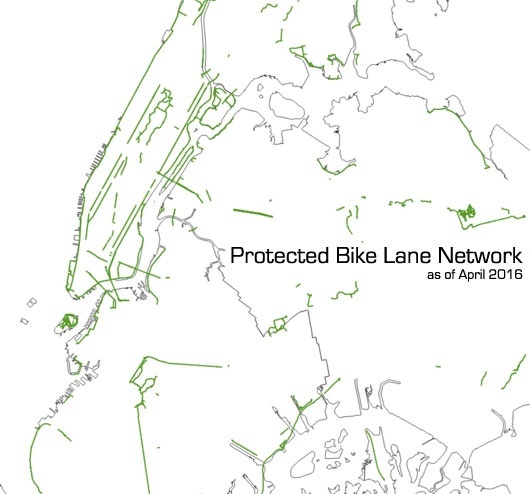 43 miles of PBL in the Bronx would transform mobility for millions. It’s a bit like tipping a $50 meal with a dime. There’s a message to it, and nobody could accuse you of just being cheap. Still waiting for a quantitative justification of this claim of a 10% capacity increase. Guideline (not crush) capacity, based on allocating each standee 3 square feet of space, of a 10-car train of R160’s is 1,450 (i.e., 145 per car). A 10% capacity increase would add space (at 3 square feet per standee) for 145 additional passengers per train – with eight open gangways per train, that means about 18 people per gangway. Don’t tell me about all of the other wonderful things that open gangways will bring. Show me the math behind this 10% capacity increase claim. I couldn’t find interior dimension of the R160, but the car is 60 ft long on the outside. It’s not too hard to imagine 3 additional feet of usable length on either end. I never accepted the claim at face value either, but is it possible improved dwell times from better passenger circulation could add TPH in some cases? +2 TPH comes pretty close to 10% on most lines, and +3 should clinch it on any line. With each platform tile being 1 ft x 1 ft, we’re looking at an increase of about 4 feet lengthwise between cars. B Division cars are slightly under 10 feet wide. Let’s highly optimistically say that there will be 8 feet of usable width in the gangways. So each gangway optimistically provides 32 square feet of space, or 256 across the train. At 3 square feet per standee, that’s 85 additional people who can fit on the train, for a capacity increase of under 6%. How do you propose to bring that up to the claimed 10%? You’re telling be about another wonderful thing, not about a supposed 10% capacity increase. But even if I’m wrong, I asked about this claim of a 10% capacity increase. You answered a question I didn’t ask. Nowhere near 10 feet wide, or even the 8 feet I proposed. It looks closer to 5, probably less. Which brings us down to 53 people per train, or a capacity increase of 3.7%. Good luck getting that up to 10%. Now we’re talking real capacity gains. I agree, reducing dwells is key. Except that I don’t see how an open gangway would reduce dwell times. There is something else in the R211 design that will surely reduce dwell times. It shouldn’t be too hard to find here. Why everyone has been obsessing over open gangways (which are cool and which certainly have benefits but which will only have marginal capacity benefits) when the wider doors are the bigger deal is beyond me. When everyone is saying the same thing, and acting like they’re woke for saying it, I usually guess the answer is some think tank or content creation factory packaged it into a soundbite. I don’t know if open gangways meaningfully reduce dwell times or not, but the argument for it I saw was that it lets crowds distribute themselves more evenly across the train as they can on the platform. The interior space is slightly longer. The ends of the existing cars are taken up by vestibule structures. Let’s put it very simply. It’s 4 extra seats per car (look at the renderings, the extra seat is on the gangway side of the door). About 1 standee per seat, if nobody actually stands in the gangway per se. Add one person standing in the actual gangway. So 9 people per gangway. 8 gangways, you get 72 passengers. OK, fine, so it’s a 5% increase in normal loads. The interior space is slightly longer. The ends of the existing cars are taken up by vestibule structures. Simply, but wrongly. The existing R160’s already have seats between the side door and the car end. The new design doesn’t increase seating capacity; on the contrary, the wider doors reduce seating capacity. There is no additional usable space within the carbody due to the open gangway; the only additional usable space is in the gangway itself. And despite all that, you still only managed to get halfway to the supposed 10% increase! If the train is pretty empty, then open gangways let people distribute themselves on board the train. If the train is very crowded, do you really expect people to push their way from car to car to car in the hopes of finding one with a little bit more space? Have you seen how stubbornly people cling to the doorways, refusing to even fill in the open spaces within the car? Well, after the picture you showed me, no. I had actually envisioned the open gangways to be a bit more spacious, given how much they were talked up. Those don’t look like they would hold two extra people with room to circulate. That said, you still could get some better circulation at least somewhat past the point of standing room only.